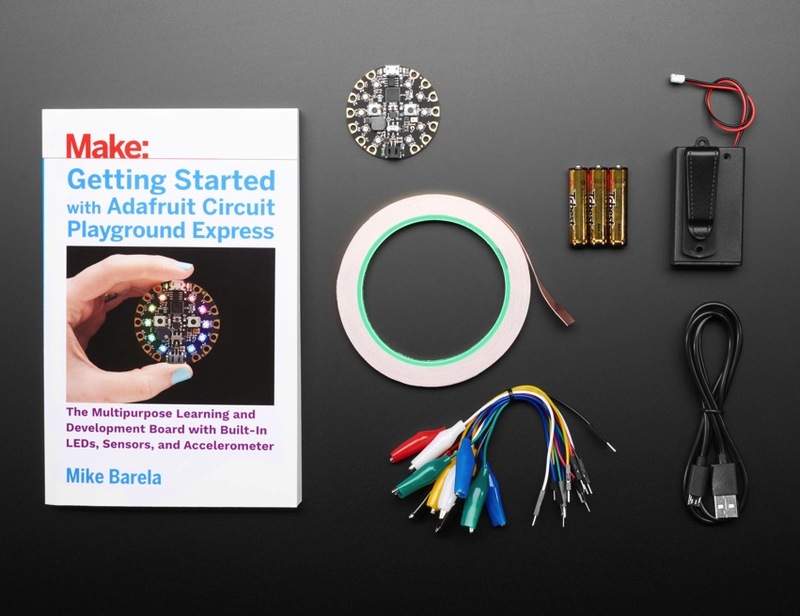 NEW PRODUCT – Getting Started with Circuit Playground Express Book Bundle « Adafruit Industries – Makers, hackers, artists, designers and engineers! This book gives you the low-down on microcontrollers by learning how to use the Express with Microsoft MakeCode and CircuitPython. You’ll also learn how to configure your board and have fun in the Arduino IDE! With so many ways to learn, and so much built into the Circuit Playground Express, we wanted to offer a pack that has everything you need to follow along the book and complete the projects. The parts included are common, re-usable components, so you will be able to build on what you’ve learned and come up with new inventions!